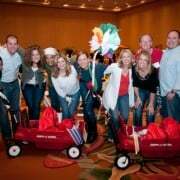 What is the purpose behind the executive team building event? Are they brainstorming ideas for the future? 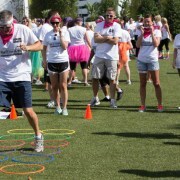 Then loosen up their minds by planning a creative executive team building event. For instance, in our Make a Scene event executives receive an iPad with a movie-making app and they could be challenged with creating a sci-fi movie that touches on what the company looks like 50 or 100 years from now. Are they problem-solving? Then get them in that mode with an event like our Unlock The Mystery event that finds executives racing against the clock to use props to solve clues to unlock a chest. How well do the executives know one another? If they know one another well, it’s okay to select an executive team building event that finds the same group of people working together throughout the event. 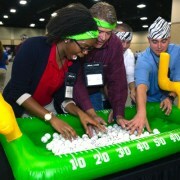 But, if one of the goals of the executive team building event is to allow executives to get to know one another better, you may want to pick an event like our Mix It Up event that incorporates a mixer activity between all participants at the start of the event and then pairs executives on new teams for every challenge. Do they want to do the executive team building event on site at the retreat location, or do they want to explore the surrounding area? 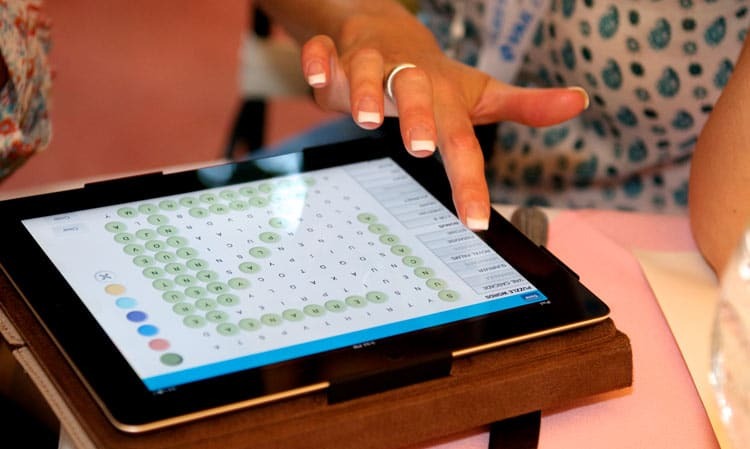 If they want to go “out and about” you may want to plan something like our iTech Trek in which teams receive an iPad loaded with challenges that must be done throughout an area of interest. Do they want to improve their leadership skills? 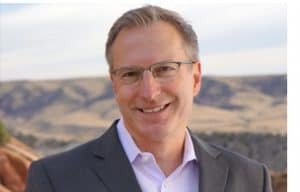 Then, consider pairing a fun speaker, like our favorite, Dave Mitchell from The Leadership Difference, with an executive team building event that puts the skills they’ve learned from Dave to the test in a fun way afterwards. Do they want a charitable executive team building event? 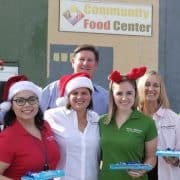 Planning an event that gives back to the local community is always a safe bet – there’s nothing silly about helping others! Know your executives. Will they be happiest going out into the community, rolling up their shirtsleeves and getting hands on with an event such as fixing up a park? Or, would they like to stay in a climate-controlled area and help kids become as successful as they are one day? 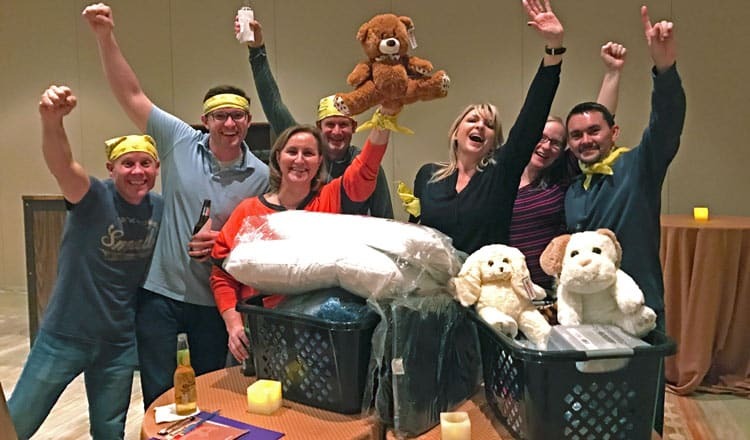 If so, our College Prep event, where they compete in fun challenges to win items that are assembled into laundry baskets to outfit the dorm rooms of scholarship students who need help with the basics, is perfect. 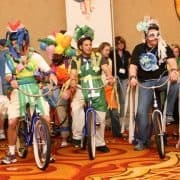 What are their interests and how can they be woven into an executive team building event? 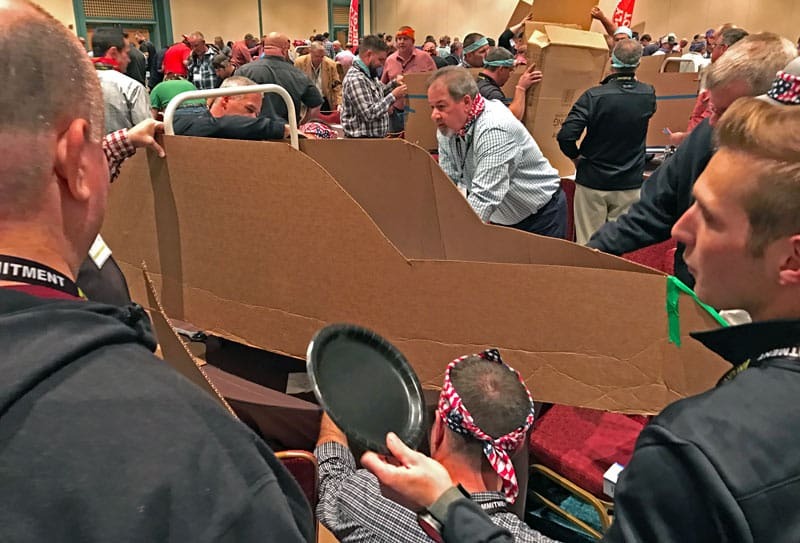 For instance, we created a Talladega Nights-themed car-racing event for one client because the top executive was a fan of the movie. Do your executives like fine wine? Something like our Blend Together event, in which they learn about wine blending and then get to try their hand at blending, would be ideal. We can design a custom event to satisfy your needs. What’s going on that could be tied into the executive team building event? Is it football season? Plan something like our Football Frenzy event that ties in football-themed challenges. Are they in a unique location? Plan an activity that takes advantage of where you are. Something like our Amazing Chase is ideal due to its adaptability. It can wrap in challenges with an urban feel if they’re in a big city, such as trying their hand at being a Spin DJ, or it can incorporate something like paddle-boarding to a clue spot in the middle of the lake if the event is hosted in a more natural setting. Planning the perfect executive team building event may seem like a daunting task, but if you take the time to explore these 7 simple questions, you’ll be well on your way to setting up an amazing event for your executive leadership group. Contact A Wildly Different Event Expert Today!